Holiday home Lacus is a gorgeous villa with very modern interior and located right by a lake. The villa has a huge garden and you can enjoy one of the terraces here round the house. After an active day in the surrounding area, you can relax in the sauna in the evening, or enjoy a lovely barbecue or good glass of wine in the garden. It is a lovely, natural surrounding with magnificent forests and lakes. The holiday home is located in the village of Borne Sulinowo. This place played an important role in the Second World War. In the village there are several restaurants and cafes. There are also plenty of supermarkets and other shops. 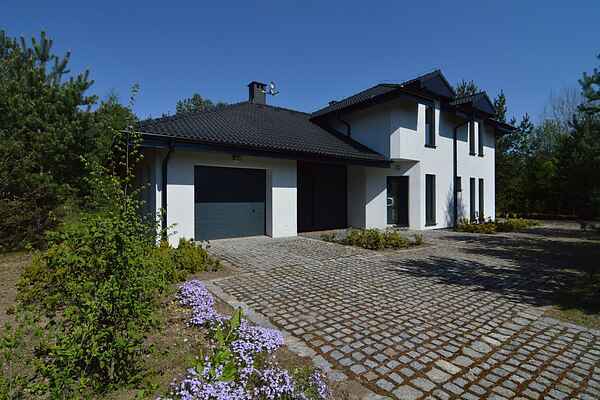 The house is very centrally located and it is ideal for visiting other larger towns such as Sczcecinek. This is 20 km away. The surrounding area is perfect for lovely walks or cycle rides. Horse riding, canoeing, hang gliding, paintballing and quad bike riding are all activities that you can enjoy here easily. There is a continental climate here, and the summer is lovely.